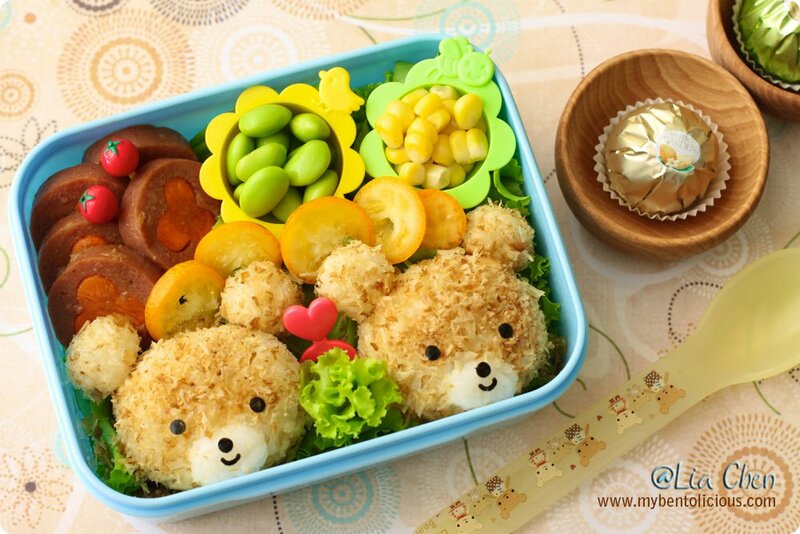 Two little brown bears for today's bento. They were made of rice - hand molded - and covered with hana katsuobushi. I put some beef sausages filled with carrots in the center and cooked with beef stock sauce, sliced kumquat, a small cup of salted edamame, and a small cup of pearl corn. 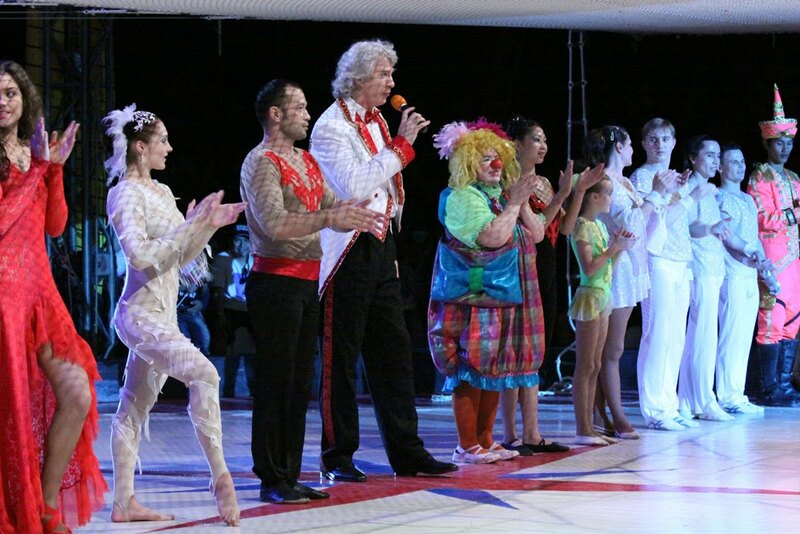 We wanted to watch Moscow Circus on Friday afternoon but unfortunately the show tickets were sold out. My husband ended up buying the tickets for Sunday afternoon. So we finally went and watched the circus yesterday afternoon. The kids were already excited since the morning before we went to the church for the Sunday service. Just before we went to the circus, Andrew suddenly looked very ill - he has been coughing and having cold since early this week. We were so worried that if we canceled the trip to the circus, the kids would be greatly disappointed. So we prayed and asked him to take a nap on the trip from the church to the circus. Thanks God that he was better after having his lunch. So the show was on! It was a fun experience for the kids - they have never been to one. 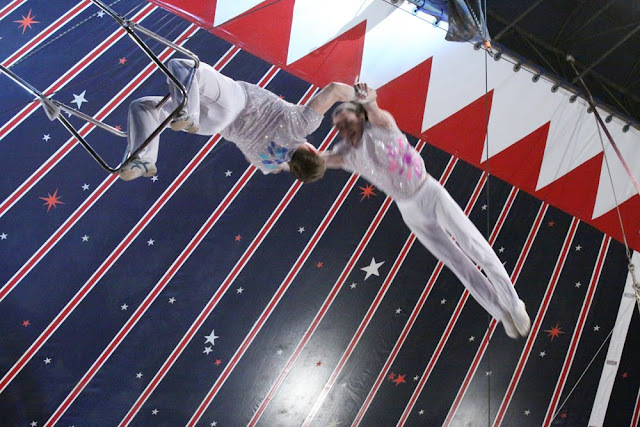 My husband actually insisted to watch this circus because he believed that it would be a lasting memory for the kids - like when he or myself watched a circus a long time when we were kids. It was a memorable experience. 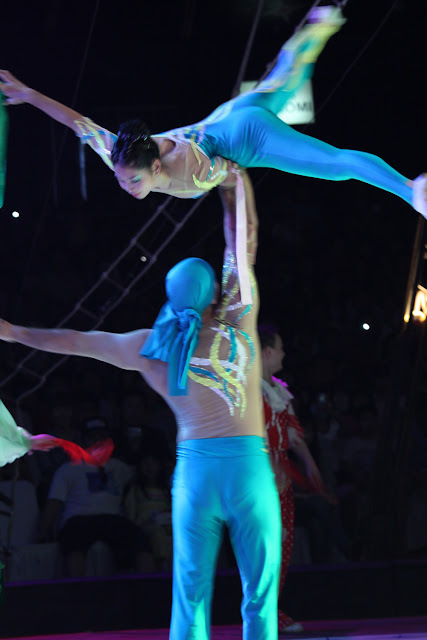 The show only lasted for 1.5 hours - they had clown performances, acrobatic shows and animal shows - the kids enjoyed all of them. Audrey was particularly thrilled with the acrobatic performance. There was one elastic little girl - her body moved as if her bones were made of rubber :) The kids were also amazed with the flying trapeze. 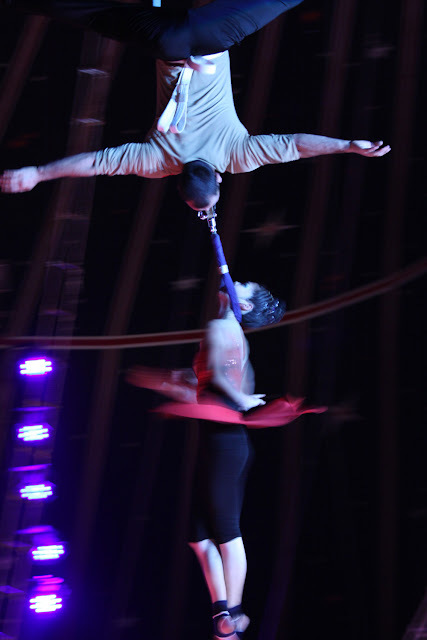 Below are some of the pictures that I took from the circus. 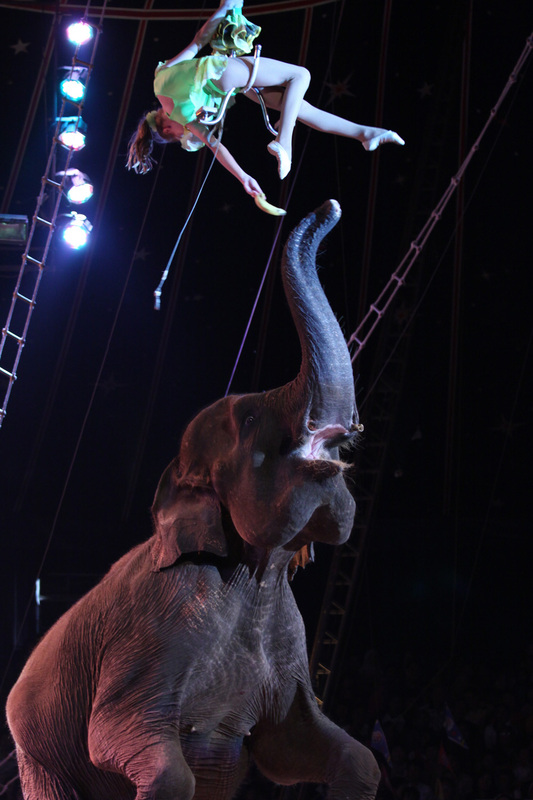 Glad you all had so much fun at the circus! The performers are so unusually talented aren't they? The circus certainly look interesting, that reminds me of I should bring my boy for one yeah! Beautiful bento Lia! Love the two bears! Glad that Andrew was fine to watch the circus else he will not be happy to have to miss it! Looks like you guys had a great weekend! The two little bears look so cute. Can tell one is female and the other one is male. 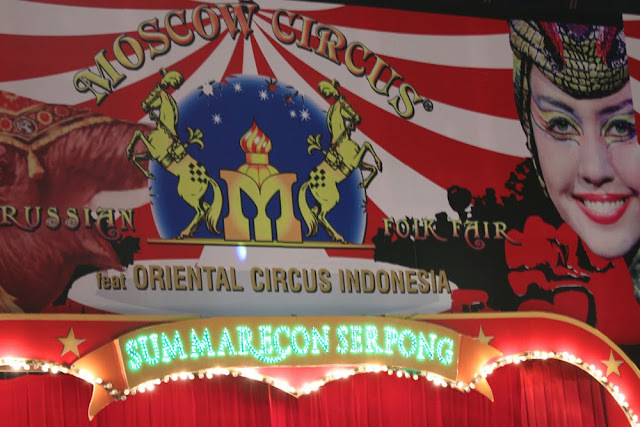 I've not been to the circus for a long time and the ticket for Moscow circus is quite expensive here. I was wondering how you got the bears looking so fluffy : great use of the katsuobushi. It seems you all had a great time at the circus. I'm sure the kids will cherish this memory. wow, the circus looks like it was spectacular! so glad andrew was well enough to go and that he and audrey enjoyed. these bears are a perfect post-circus celebration -- i agree with sheri, the katsuobushi makes fantastic fur, and to me the little cups (holding the edamame and corn) are like the rings of the circus or the platforms that the performers stand up on. the sausage also looks tasty -- did you make it that way yourself with the carrots inside? What's hana katsuobushi?does it taste like beef floss?..can you easily find in jkt? 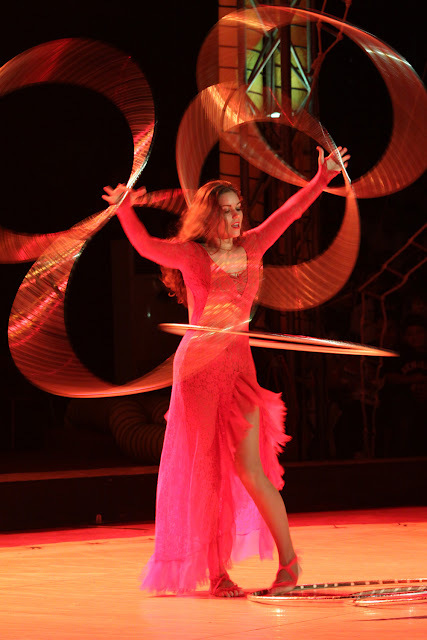 Wow, you managed to capture the performance so well..love the circus pictures. 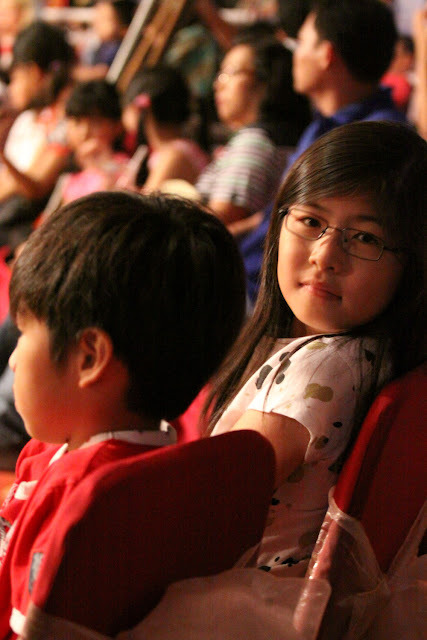 @Deby Suwito : Thanks a lot Deby! Hana katsuobushi is called ikan cakalang asap in Indonesia. You can find it in Japanese supermarket, they sell it in small and big packs. I love it!! Looks like a great time at the circus. I can't believe you hand-molded the rice.. talk about talented! Great circus shots..
Adorable little bears! They look so happy in the bento! The circus looks like a lot of fun! @Sneige : Thanks a lot Sneige! I'm happy your kids liked the circus. I was as kid in one, but I didn't like the clowns and left after 30 minutes, because I was bored ^^"